The Surgenor Automotive Group has been in business for over 50 years. It all began back when the now currently Surgenor Ottawa Chevrolet Buick GMC Cadillac dealership opened at its current location at 939 St.Laurent Blvd. Throughout the years, Surgenor has continued to expand their services to residents across the Ottawa - Gatineau region. The Surgenor Automotive Group always strives for success in all areas of its operations. Most importantly, we believe that our customers are customers for life. When you come into a Surgenor dealership, our main priority is to create a long-standing relationship with you so that all of your vehicle needs are met. Once you drive off of the lot with a Surgenor vehicle, the Surgenor experience doesn't end there. We want to make sure that you are fully satisfied with your purchase. We will always be just a phone call or in-person visit away from helping you in any way possible regarding your vehicle needs. Many of our dealerships are modernized with enhanced features such as a 2-lane heated drive-thru for service customer drop-offs, a modern waiting room with television, free Wi-Fi access and complimentary beverages. This is just another facet of the overall positive experience you will have when doing business with the Surgenor Automotive Group. Right now at Surgenor, we are in the process of a very exciting transitional period. We currently have 3 GM dealerships under the Surgenor Automotive Group umbrella. 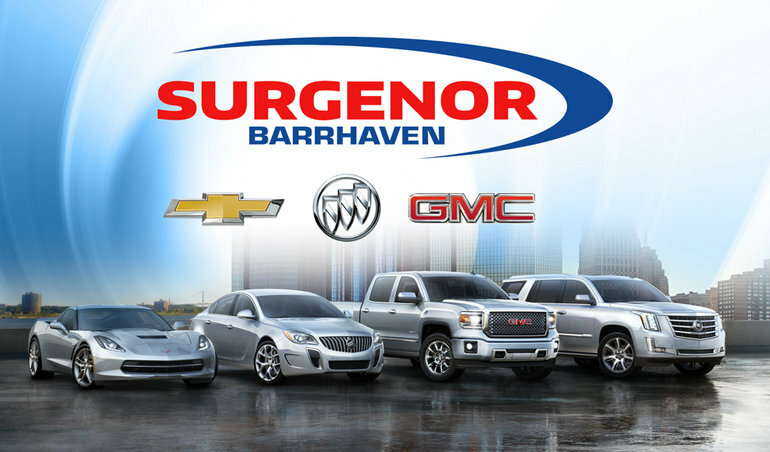 They are Surgenor Ottawa Chevrolet Buick GMC Cadillac, Surgenor Barrhaven Chevrolet Buick GMC and Boulevard Cadillac Chevrolet. We want to make things easier for you, the valued customer by amalgamating all of our dealerships under one name, brand, and mission statement. Just over a year ago, the Surgenor Automotive Group purchased Jack May Chevrolet Buick GMC. Now we want to fully bring Jack May into the Surgenor Automotive group family by re-branding the dealership. In the next few weeks and months, you will see changes to the overall branding and look to the dealership. This will be primarily an aesthetic change. You will still get the best customer service and staff support that we have always offered. Think of this as an official welcome to the proud Surgenor Brand that has been serving Ottawa for over 50 years. Everyone within the Surgenor family is extremely excited for this transition. We hope to see all of you soon in one of the Surgenor Automotive Group dealerships so that you can experience the Surgenor brand yourself and build a lifelong relationship with and meet all of your vehicle needs.